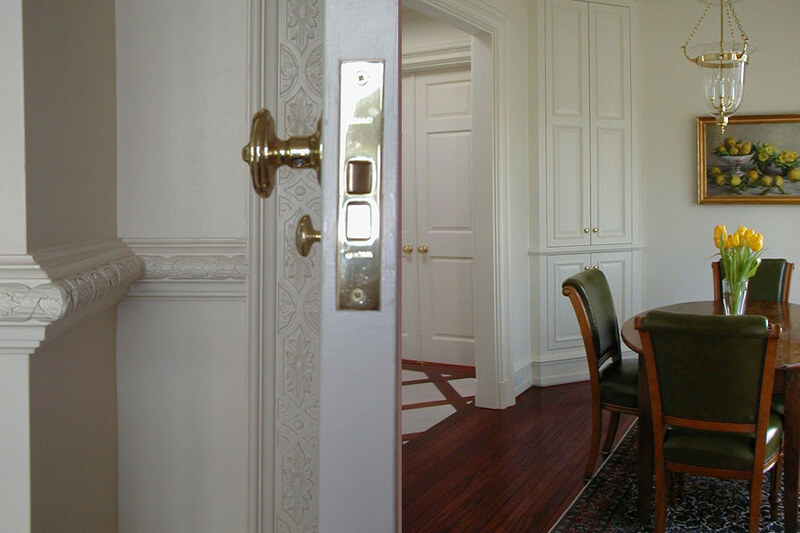 This classically designed apartment was inspired by Bill Blass' New York apartment. 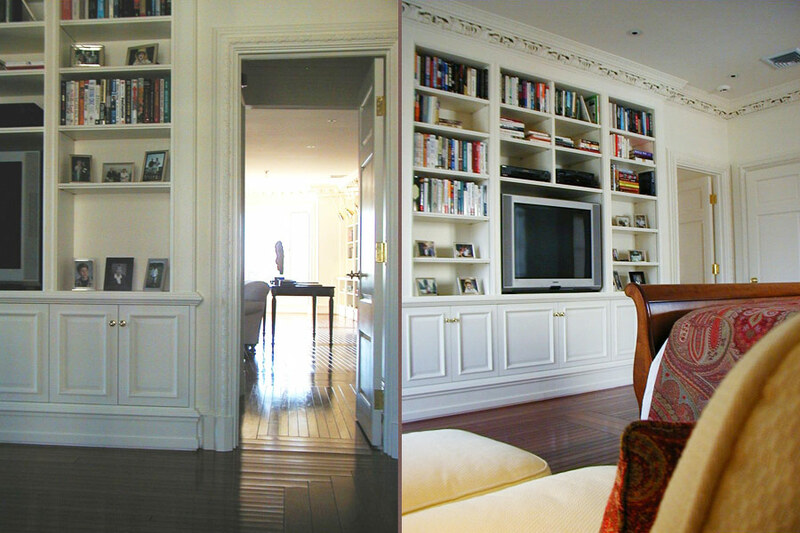 The space underwent a full renovation, with highly intricate architecture. 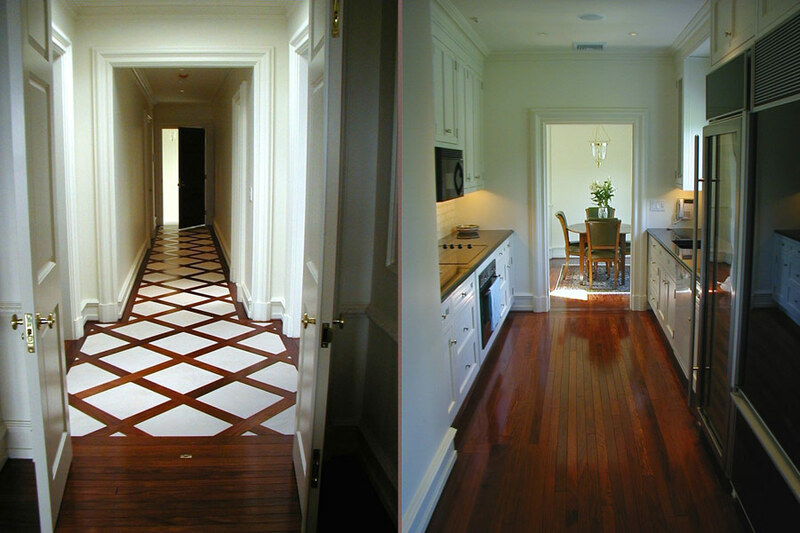 The flooring was installed with of a grid pattern banding of mahogany and limestone and serves as a key decorative element. 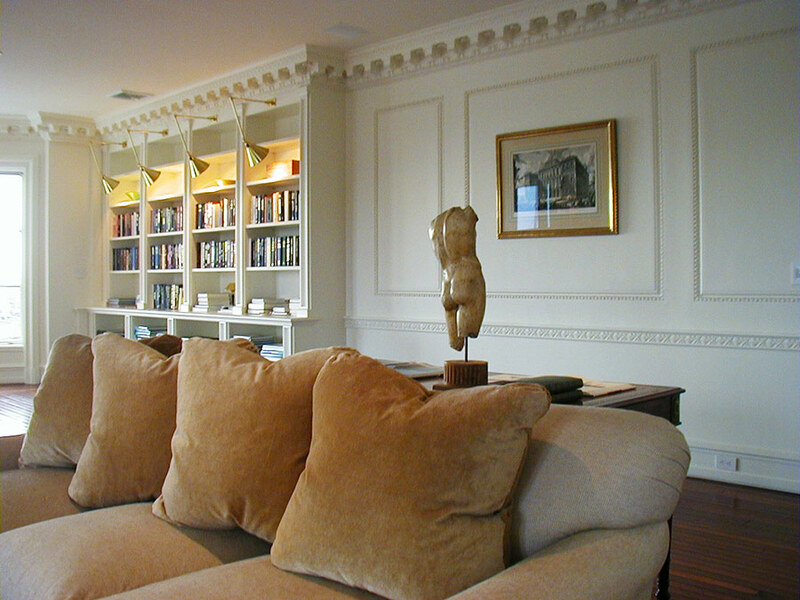 Custom plaster molding designed by JWD was cast in plaster and carved in England, and custom white millwork was installed. 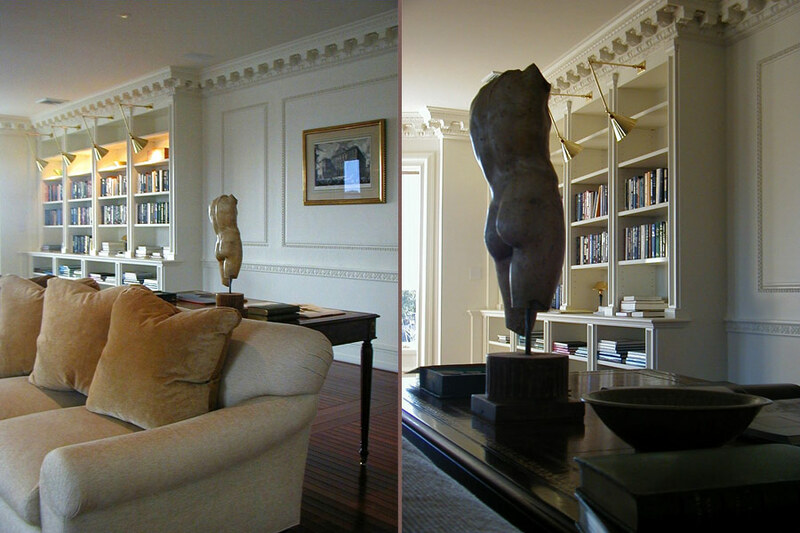 Sculpture is adds a neoclassical touch to the space. 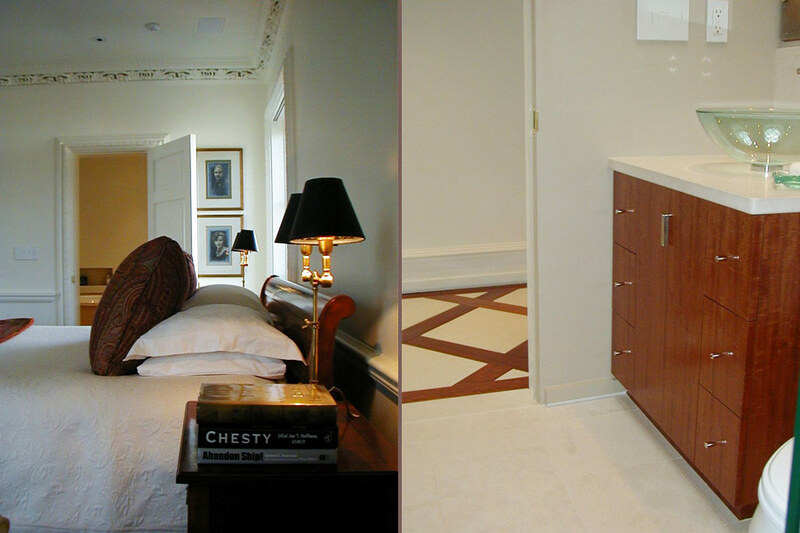 Furnishing is minimal in this space, assuming a secondary role as a backdrop for the exceptional architecture.